In the run up to our MEGA X-MAS PARTY on the 25th of December we open every day a little door with surprises. We wish you a super nice Advent Season. 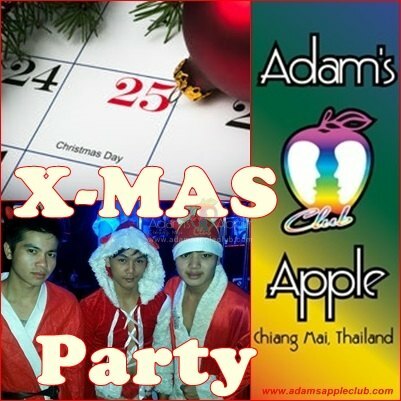 We look forward to your visit in our Gay Bar Adam’s Apple Club in Chiang Mai. The No. 1 Gay Bar in town. We have the most friendliest Staff, hottest Asian Boys and the most amazing Shows.